I’ve alway wanted to take on the trail known as the Twister. 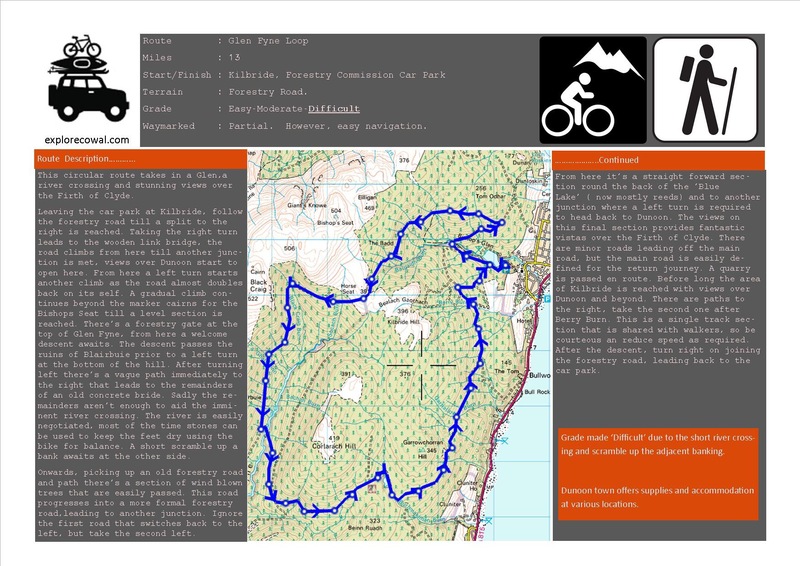 This trail involves a loop round the top of Glenbranter using the forestry roads with a descent on a purpose built section of single track. 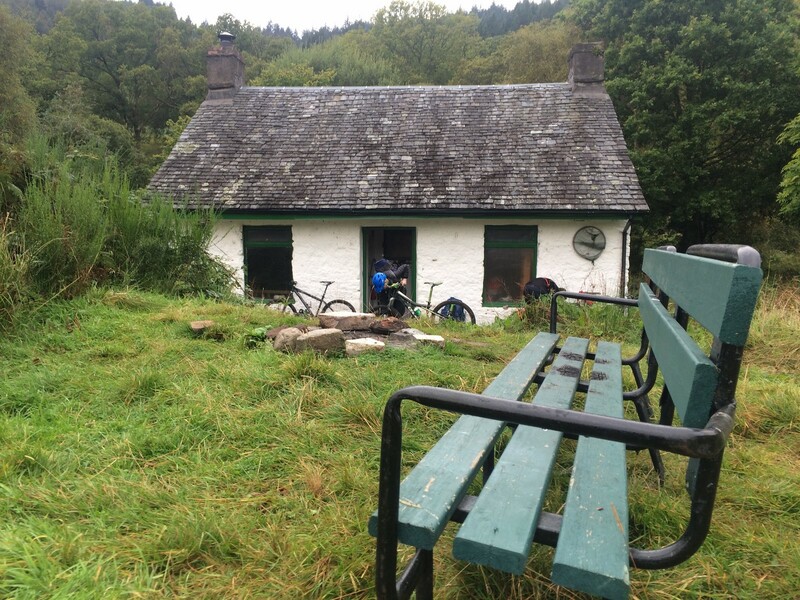 Starting off and finishing at the Forestry Commissions head quarters in Glenbranter,there’s plenty of parking available. 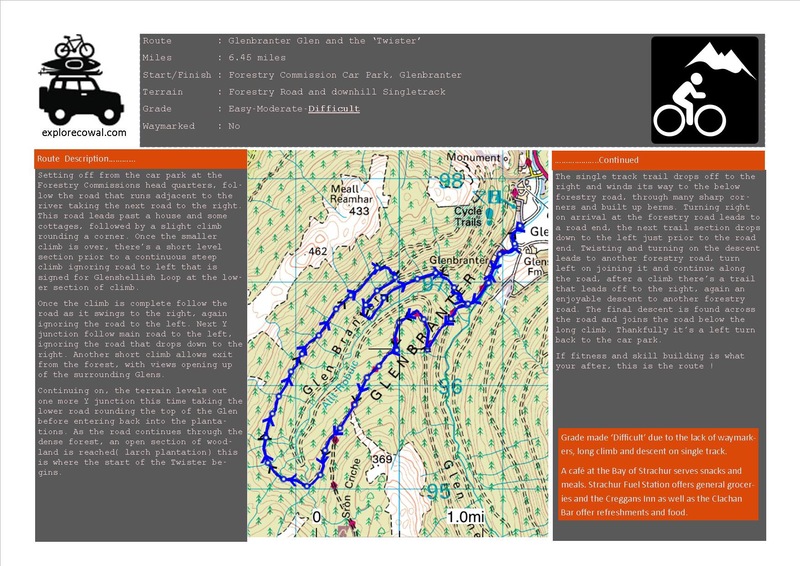 Please see below Route Card,Pictures and Interactive Map. If your looking for a route to build up fitness and skill,this is it !!! Interactive Map can be found by clicking here. 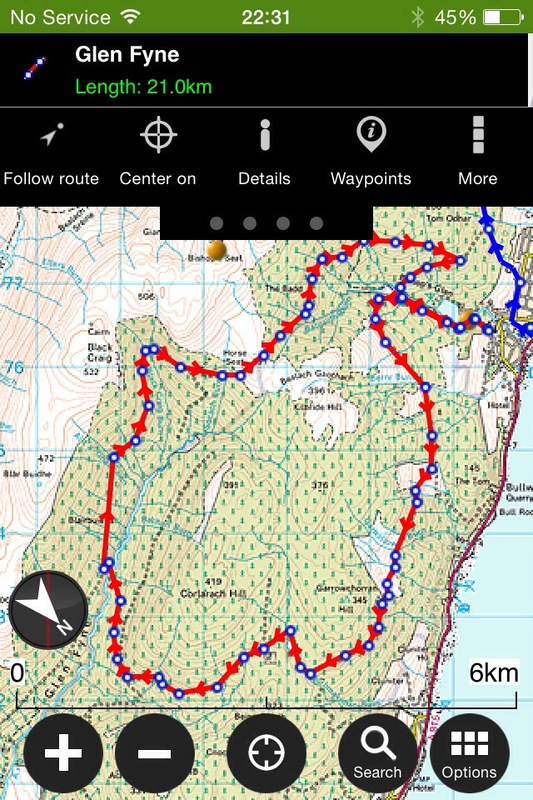 GPX file for GPS units/ Viewranger App can be downloaded by clicking here ( Click on the icon top right with the three horizontal bars). 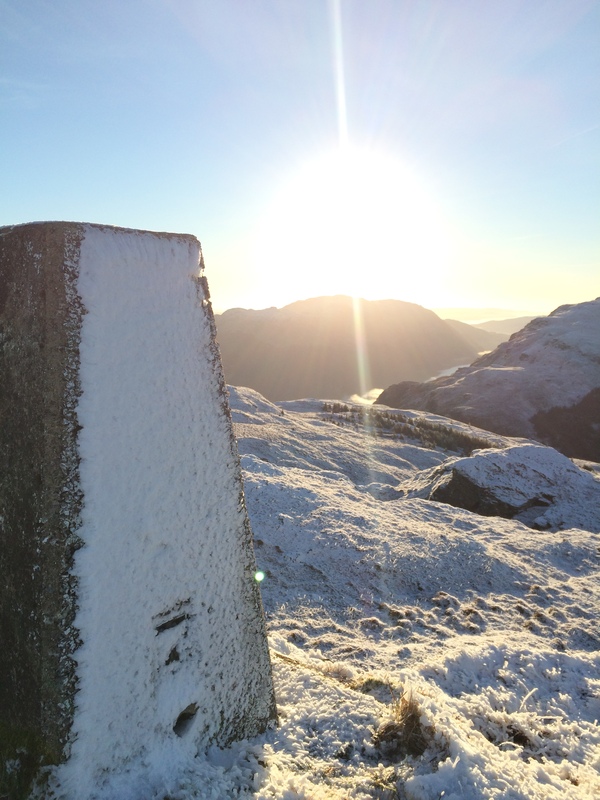 You may have to register with Viewranger, but it’s free. Found these videos in Youtube showing the sections of the Twister,ideal. Please see below for various Route Cards. 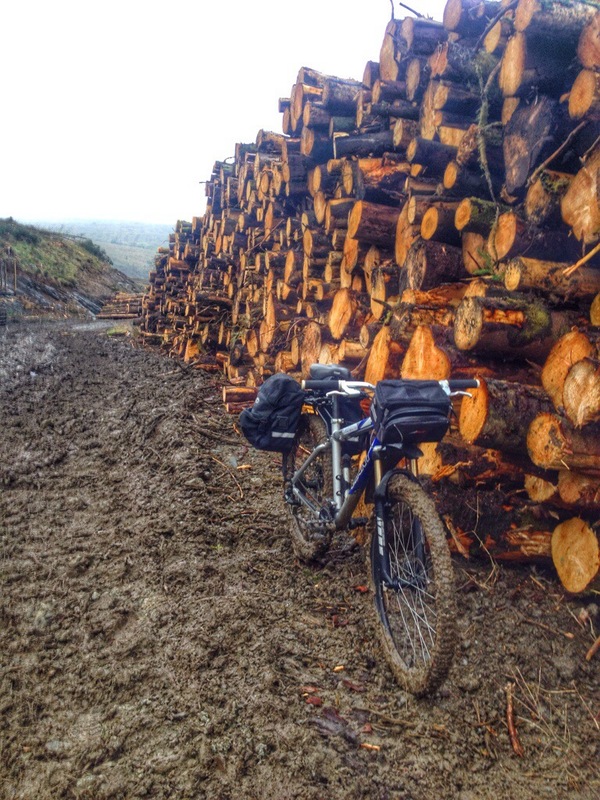 Various distances and difficulties, the majority of which can be both biked or walked. Save the images to your mobile device for reference. 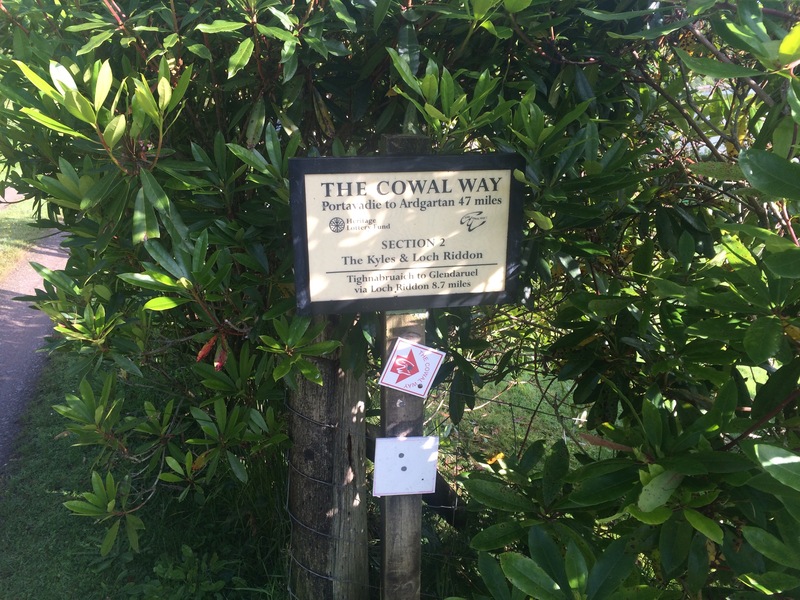 Remember these are for indication only and an OS map of the area is advisable. 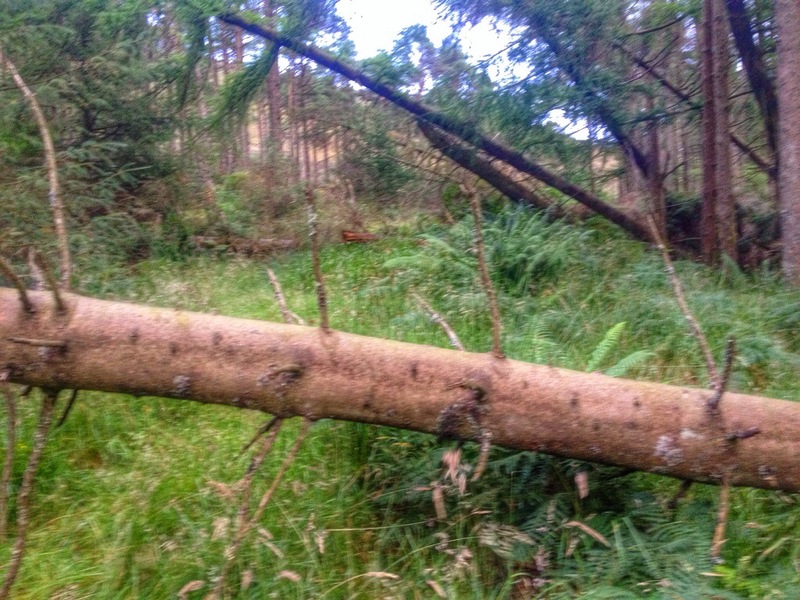 Route:Toward Hall to Glenbranter Forestry Office. 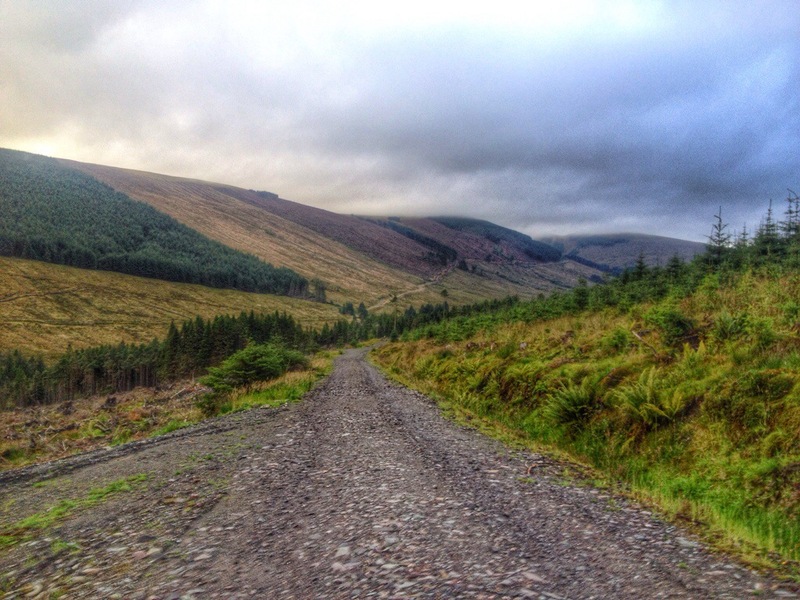 Terrain : Forestry road and short sections of rural paved road. 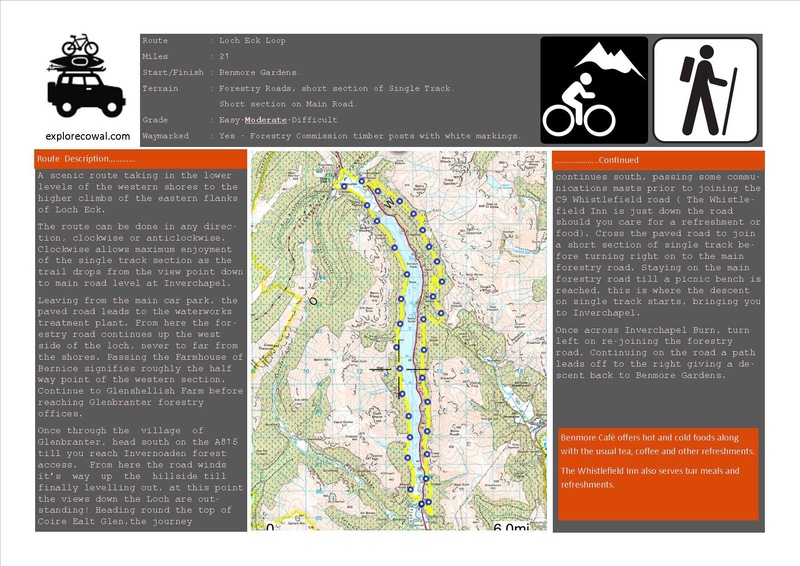 I was looking to create a route similar in distance to the Loch Eck Loop, a route that isn’t weather dependent (lower level) or to difficult to navigate but still giving rewarding views. As always staying away from public roads as much as possible and making the route manageable in smaller sections if need be. The availability of public transport is always a bonus. 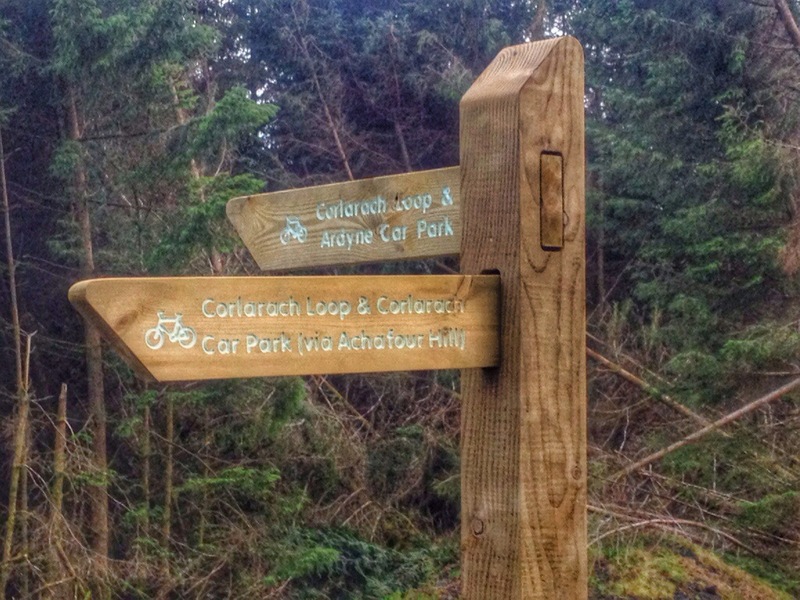 The route can be either cycled or walked and tackled in either direction. 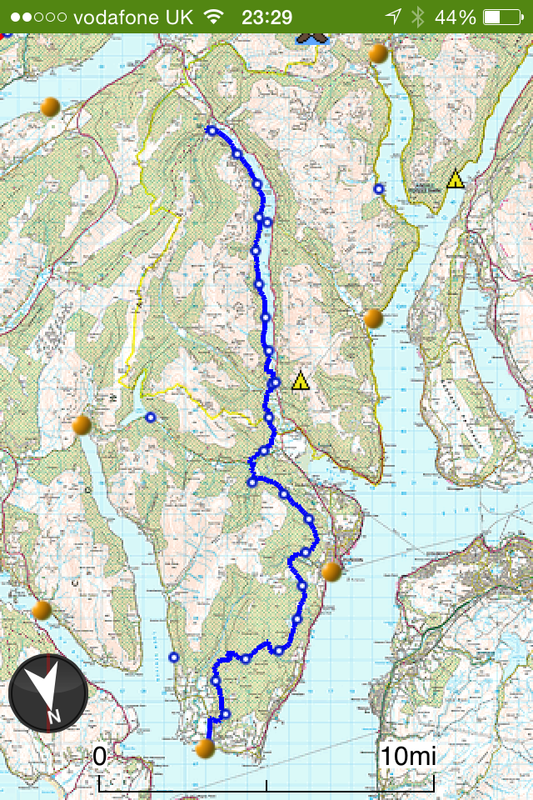 A scenic route, starting from Toward, South Cowal extending to Glenbranter,south of Strachur. 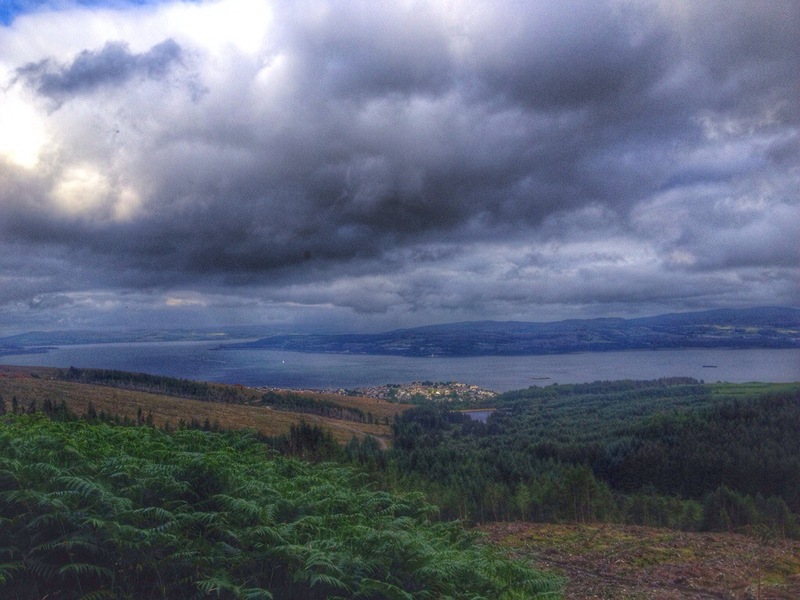 Leaving Toward,heading north, passing above Innellan and Dunoon enjoying view over the Firth of Clyde. 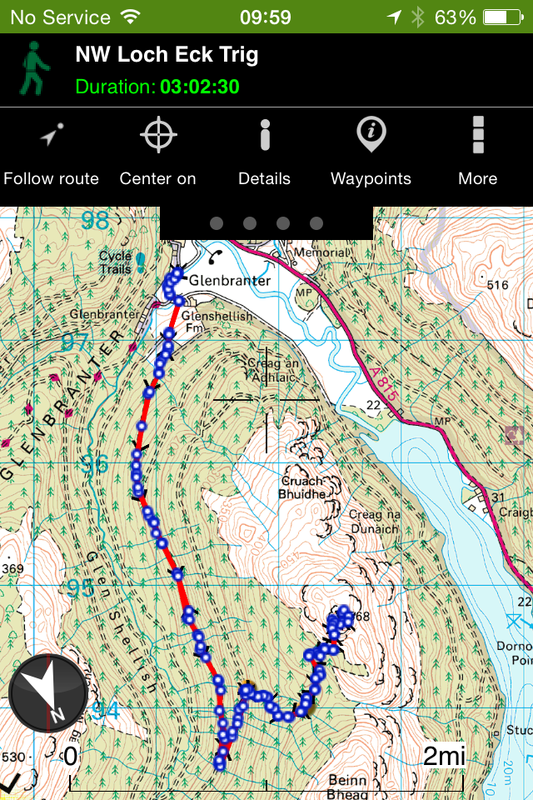 Continuing through to Glenkin and on to Glenmassan, before heading to Benmore and finishing at Glenbranter. Please click HERE for interactive map. 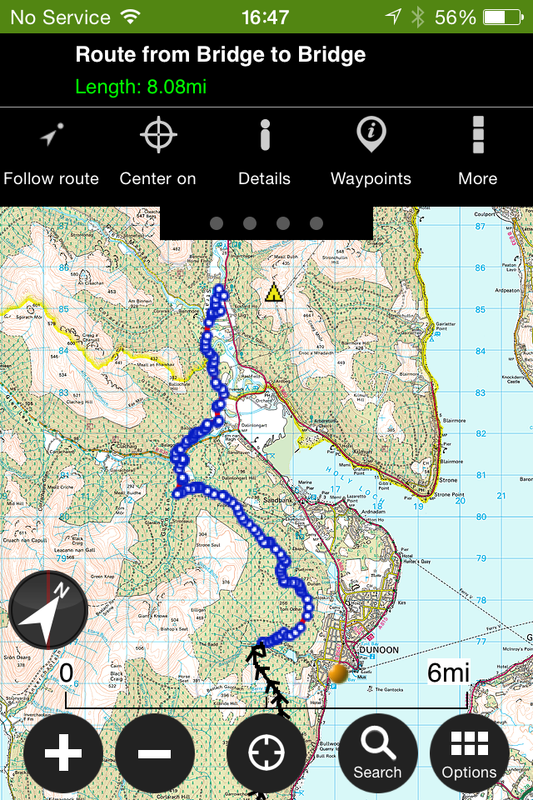 Map will default to Auto,however there should be an option in the drop down menu (top right of map) to choose ‘Ordnance Survey GB’. If it’s not an option you may have to register with an email and password (Login). Perhaps set up an email and password (Login) for your club/group that can be shared. 0 miles to 9.5 miles. Had an afternoon off work, so managed to cover the south section of Route 26. Toward Hall to the link bridge in Bishops Glen,Dunoon. Works in at exactly 9.5 miles. Got to Toward via a lift but there is a bus service that takes you to the start point. 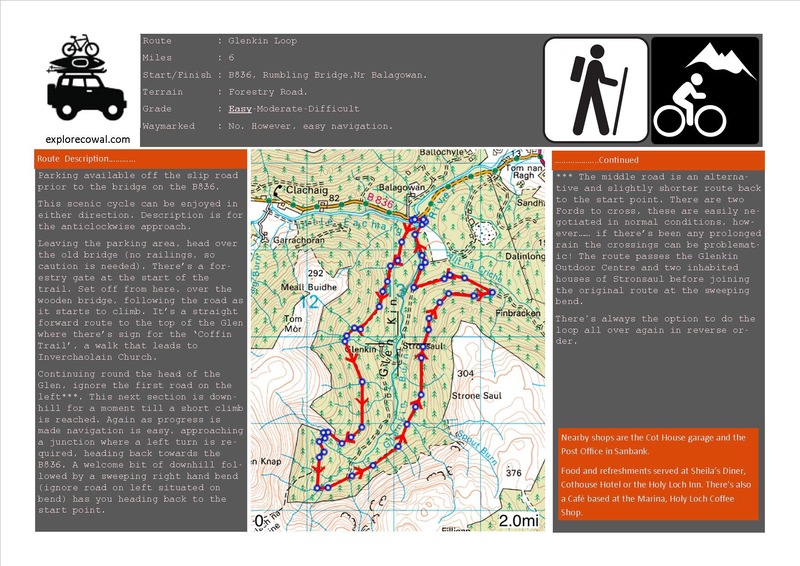 Further route info available on an interactive map with Route,Statistics and Pictures, click below. Pictures from walk,due to light and conditions pictures aren’t the best but give an idea of views and route. A wet and windy Sunday morning! Might as well record some of the route in the worst conditions!! Started off where section 1 finished at the link bridge at the Bishops Glen. 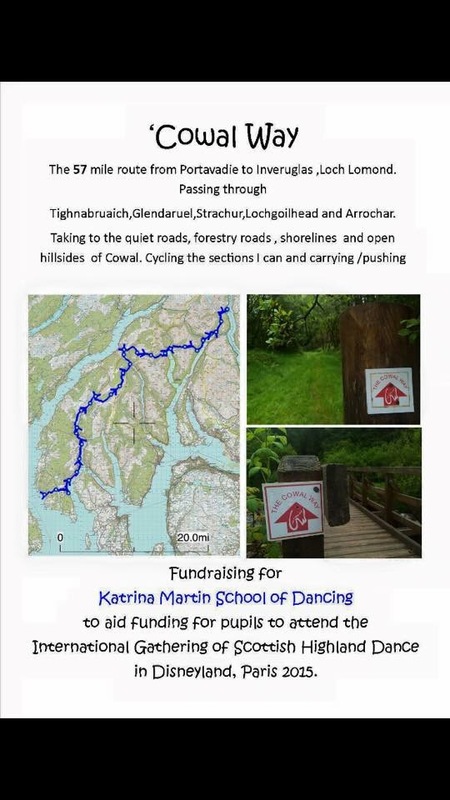 This route takes in, Dunoon, Sandbank, Glenkin, Ballochyle, Lower Glenmassan and Benmore with lots to see ( weather permitting ). Bridge to Bridge came in at 8.15 miles and took me 2hr 45mins, that’s including stopping for pics but little else in the conditions. See below for pictures and interactive map. 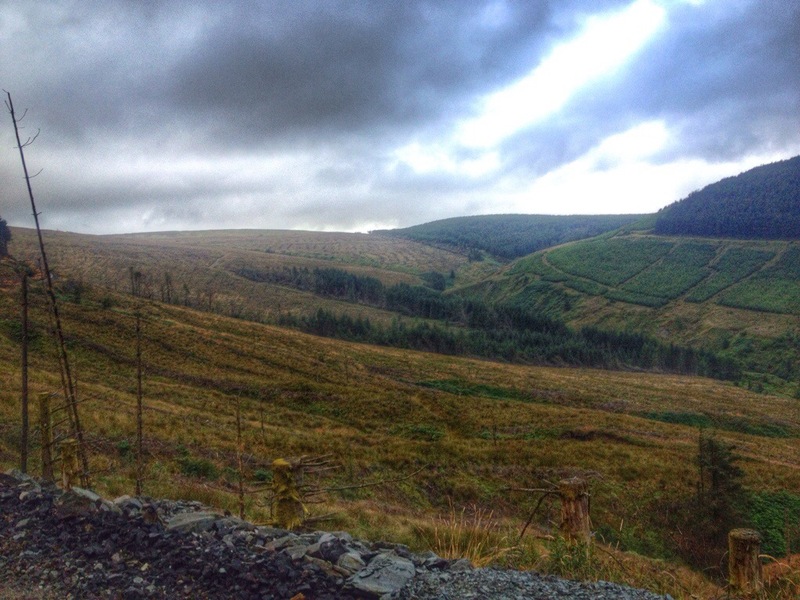 Viewranger have made it possible to view pictures from the route rather than the track only. Clicking on the camera icon at each location should bring up a picture below the map. You can zoom in and out and pan round the map. Any feedback welcome on this mapping system. I finally got round to recording the final section of route 26. 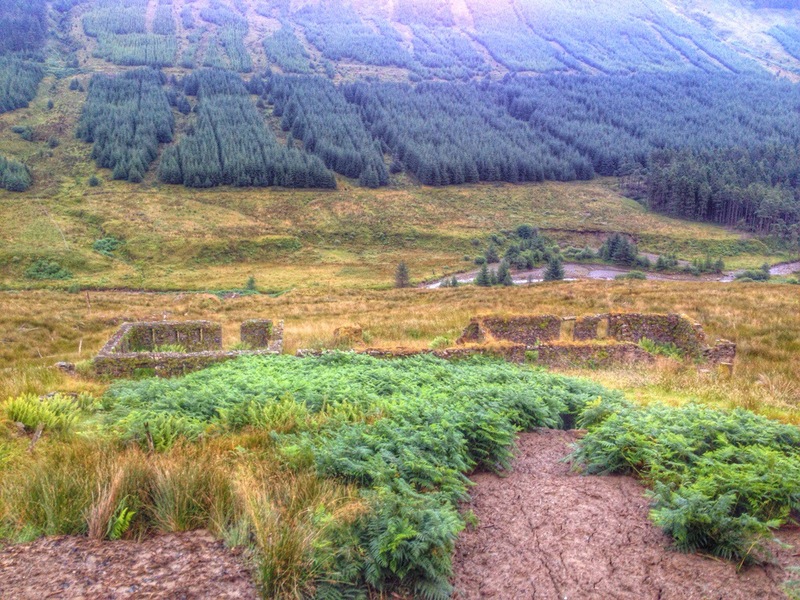 This section starts off at Benmore Gardens and finishes at Glenbranter. 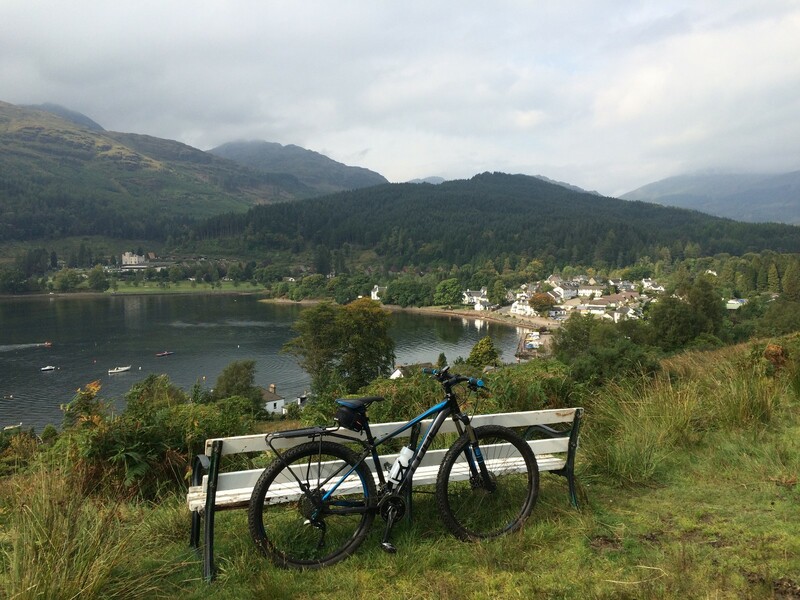 A scenic loch side journey. 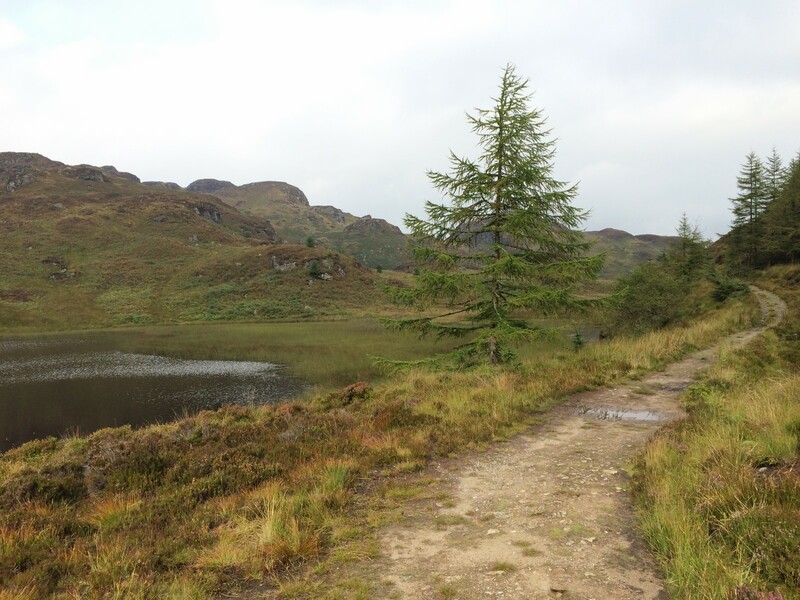 Once I’d figured out where the 26.2 accumulative total ended, I continued the loop of Loch Eck, decided to take the bike for this section so I could get the miles in. The mathematics were done,I needed 8.55 miles to get the the 26.2 from the bridge at Benmore. Now,whilst it’s not an exact science but this distance brought me to a forestry gate,right in front of Glenshellish farm……an excellent finishing point. Interactive map with pictures can be found by clicking HERE. 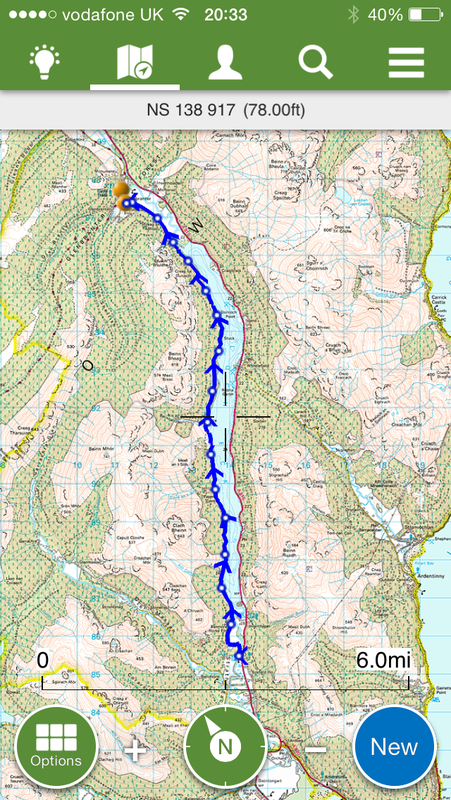 It’s for the full Loch Eck Loop but details the western flank of the loch for Route 26. Could always continue and make the route an Ultra!! (38.5ish miles). There marks the end of Route 26. 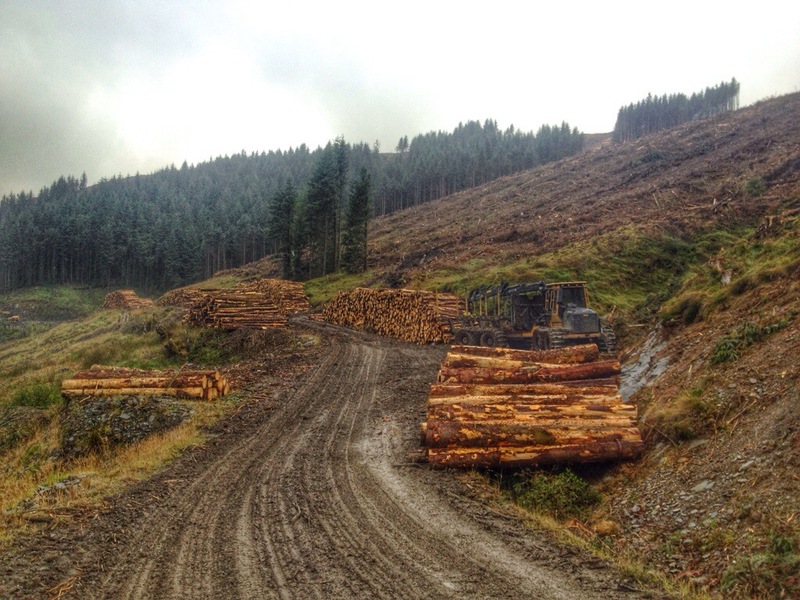 Its an extra half mile to the Forestry Commissions office. Now just to piece it all together in one run and report back. Some scenic footage of sections 2 & 3. 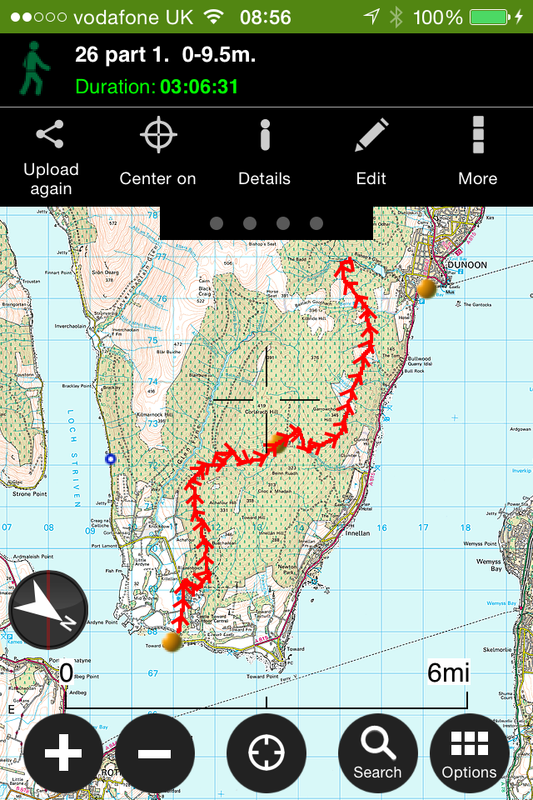 Dunoon to Glenbranter. 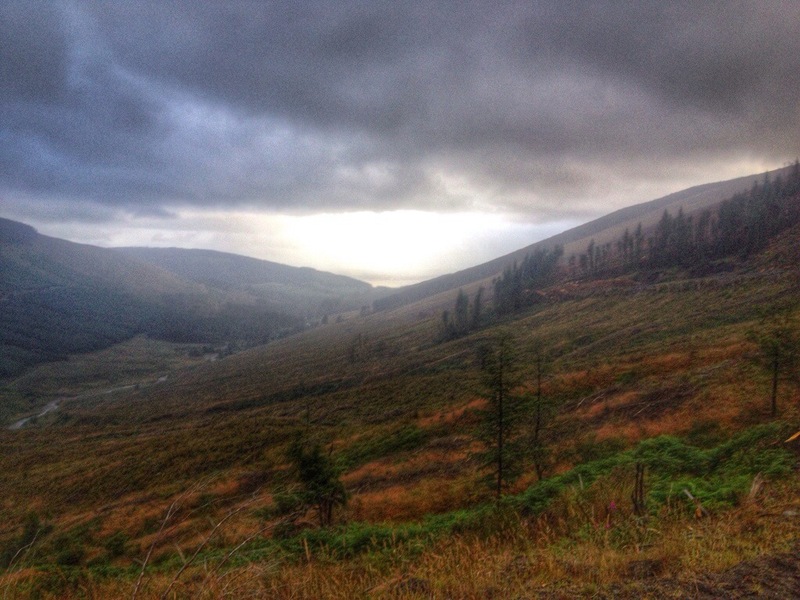 Glen Fyne Loop (South Cowal). 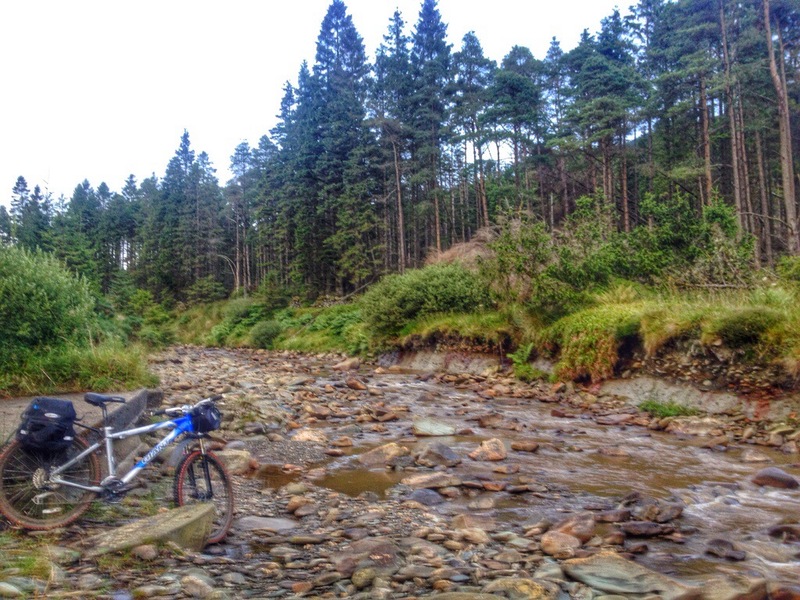 Approx 13 miles on forestry roads with a river crossing. 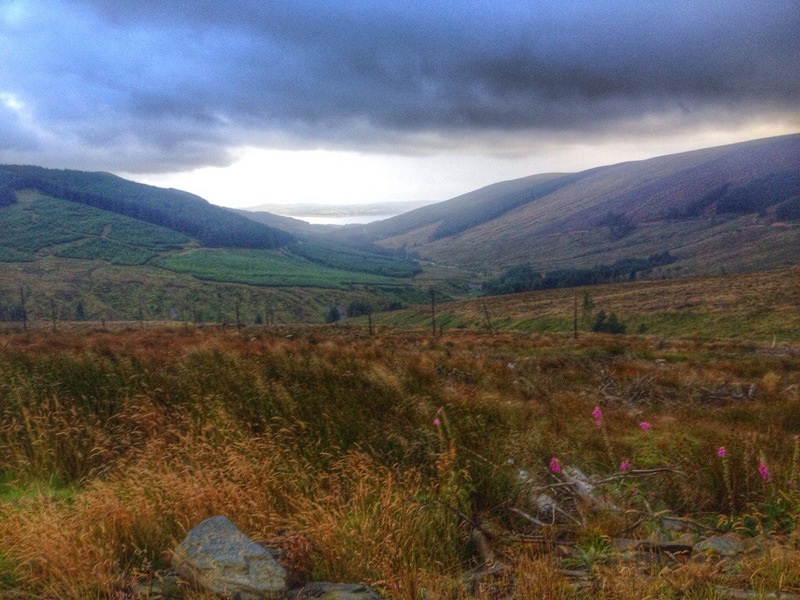 A great circular route, giving great views. Walk it, run it or cycle it. 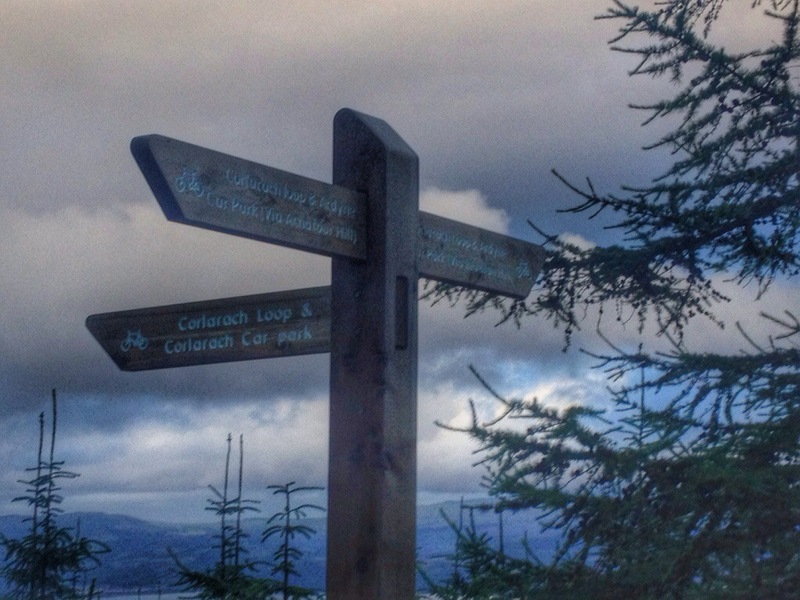 Starting and finishing at Kilbride car park in Dunoon,via the top road behind Kilbride hill,down Glen Fyne returning with views over the Clyde as you head from Innellan to Dunoon. Opposite to what I’ve plotted on the map, but can be done either way. 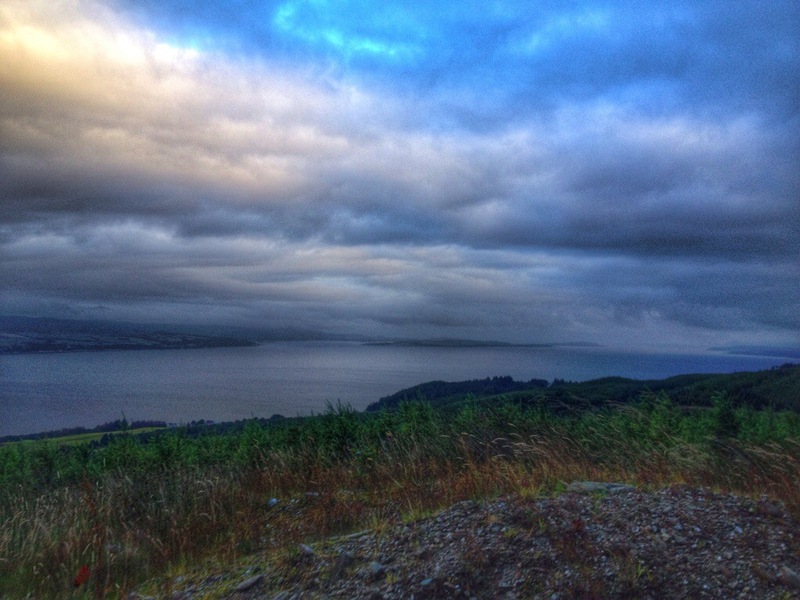 Overlooking Dunoon after climb from Kilbride car park. The road down to the river crossing. 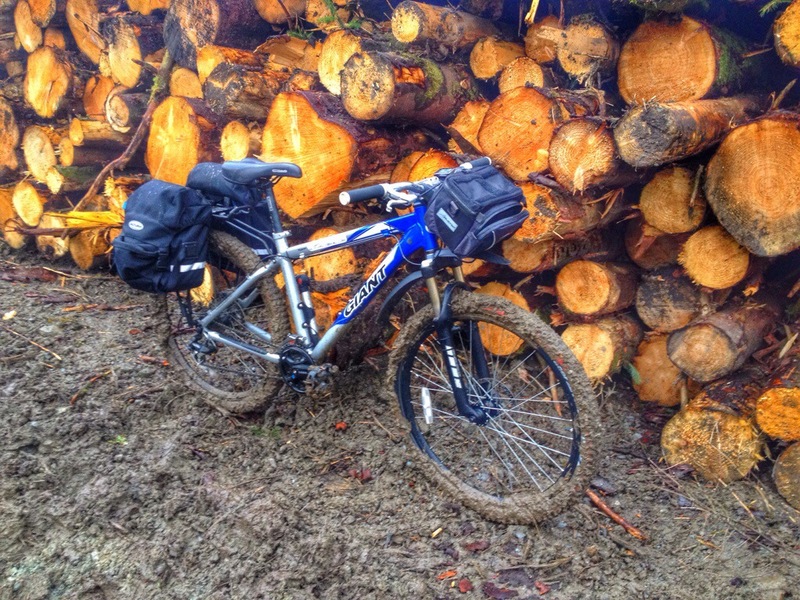 A tad muddy due to forest operations. All good fun though. Looking back up the Glen to the far away plantation,where the descent started. The river crossing at the old concrete bridge and the wind blown road/track on the other side! Back on the open road. 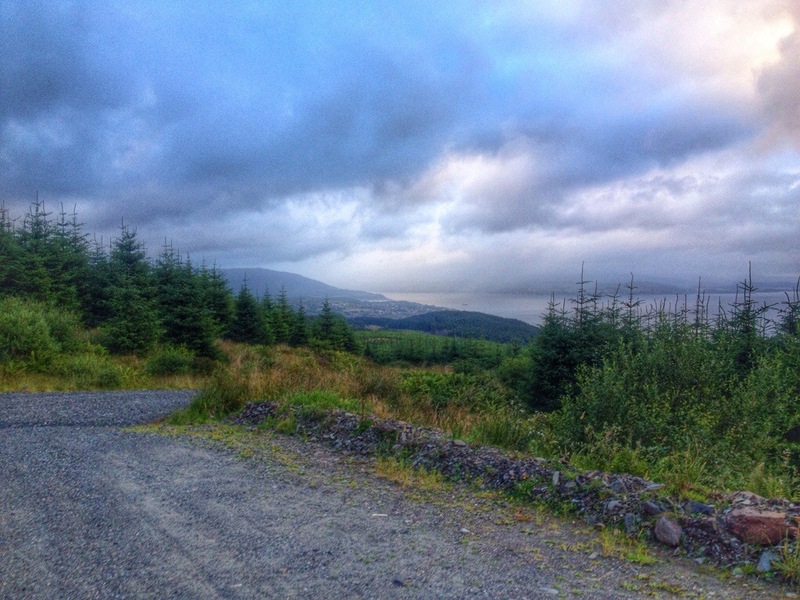 The home straight,including a few bends and a wee climb at Kilbride before returning to the car park. 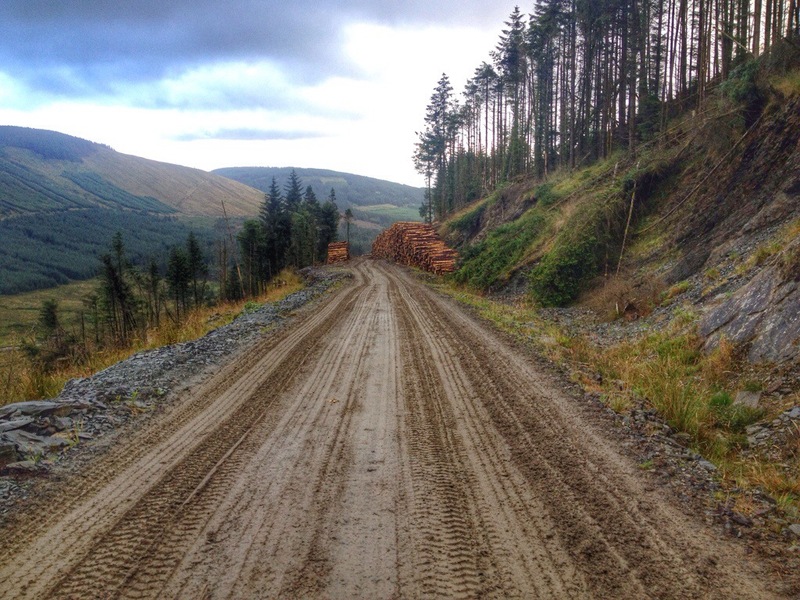 Also see this report for further pictures and alternative return via Innellan-Dunoon main road. Click here.